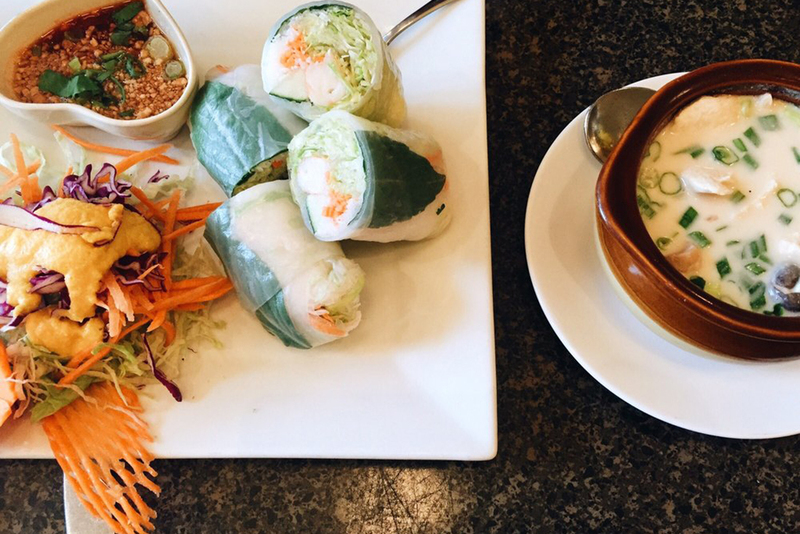 Kick up the heat next time you’re looking for Thai food. While there are plenty of standard Thai restaurants in Boston, there are several standouts that feature authentic, regional dishes and fiery flavors. Thai isn’t just noodles and fried rice—it’s whole fried fish with basil and chili, minced pork omelets, and five-spice broths. 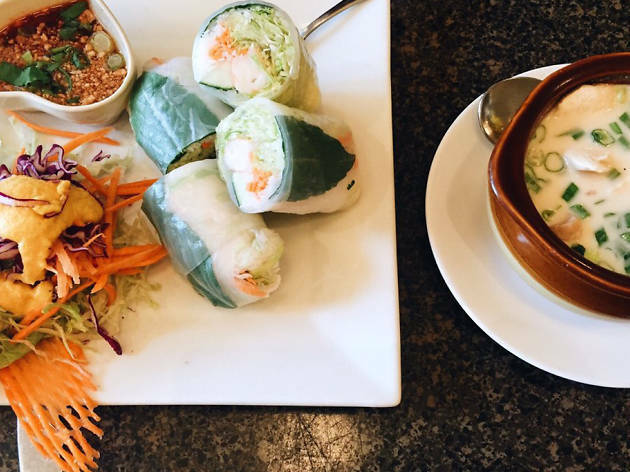 From Downtown to Watertown, here’s where you’ll find the best Thai restaurants, whose friendly staff and skilled chefs will help expand your Thai horizons. After you’ve had your fill of Thai, keep the spice party going by seeking out the best Indian restaurants and best Mexican restaurants in Boston. Acclaimed chef Manita Bunnagitkam uses Thai techniques and the freshest ingredients to churn out new takes on Thai standards. To start, try quail eggs and a shrimp “donut” made from fried shrimp paste. 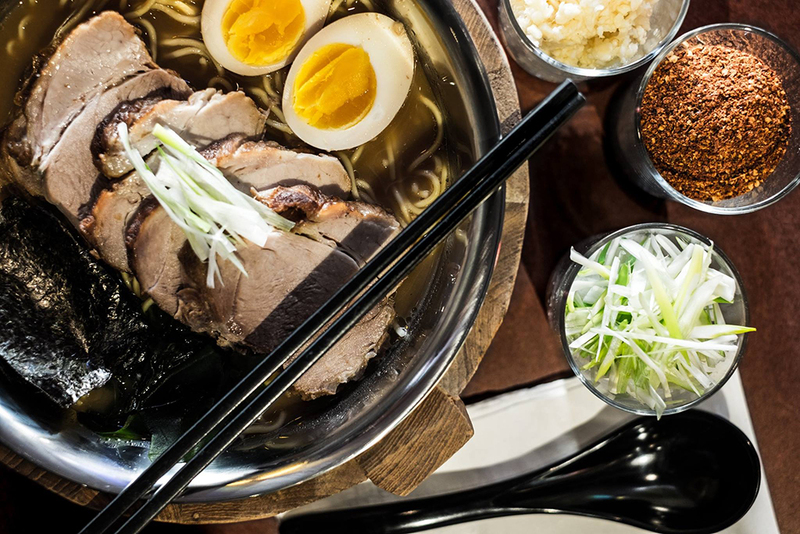 Menu highlights include pineapple fried rice, khao soi brisket, and spicy panang curry. If you’re able to save room, finish with house-made ice cream: changing flavors include jasmine thai basil, spicy chocolate, strawberry basil sorbet, and thai iced coffee. 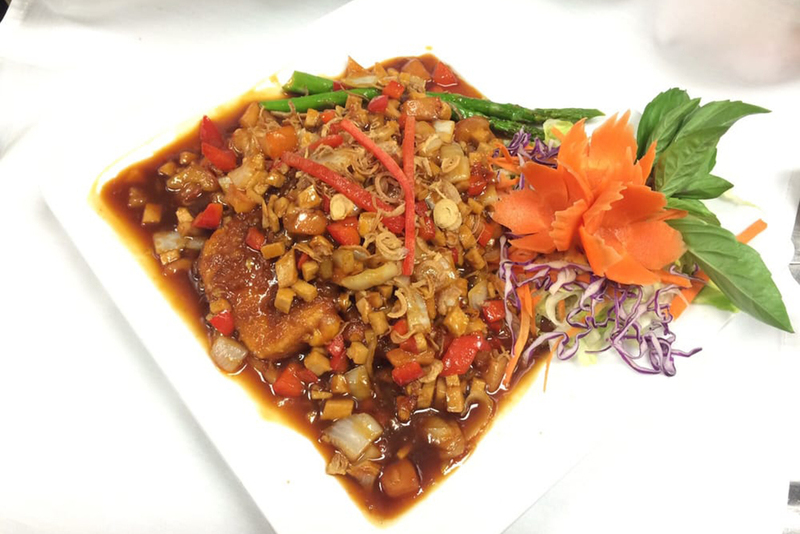 This family-run joint has been serving Thai specialties since 1986. 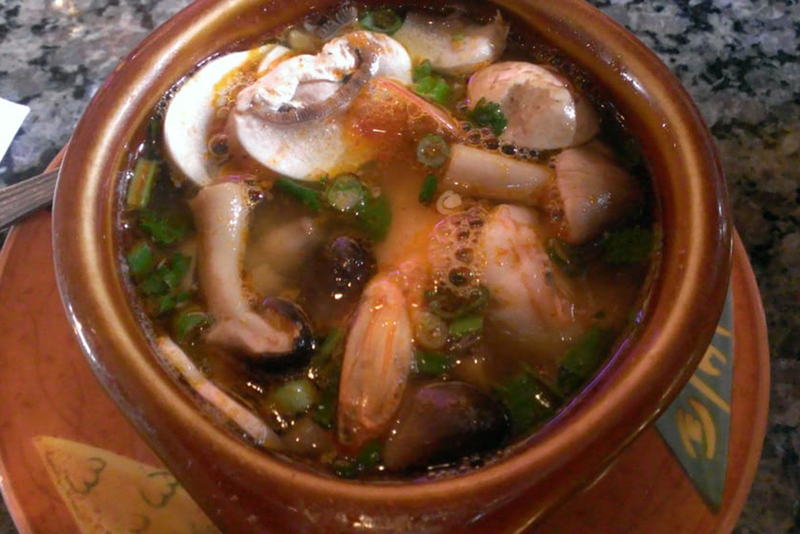 The menu offers both authentic Thai cuisine and Americanized options for the less adventurous. Go beyond your average red curry or tom yum with plar goong (shrimp mixed with spicy lime juice, tomato, lemongrass), poo nim rad prik (crispy soft shell crabs with sweet basil chili sauce), or one of the deep-fried whole fish selections. The cocktails are also notable, but the draw here is the level of authenticity of the menu, offering a chance to broaden your Thai expertise. Tiny and no-frills, this Allston eatery—primarily a takeout joint—satisfies those looking for a quick, authentic Thai option. 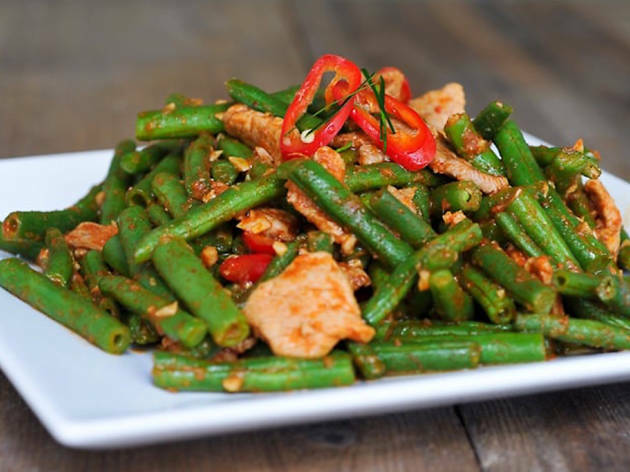 Standard offerings like pad see ew and red curry won’t disappoint, but try something different such as pad prik khing moo krob (crispy pork with string beans in a spicy curry sauce), pad gra prow (thai basil beef), or kai look kaey (fried boiled eggs with tamarind sauce). Pay heed to the heat levels on the menu; try a five-chili item if you dare. For tasty Thai in Inman Square, The Similans is your spot. Friendly staff add to the welcoming atmosphere. Alongside standards, lesser-seen options include brown sugar mango curry, Thai chili fish, and honey pork. 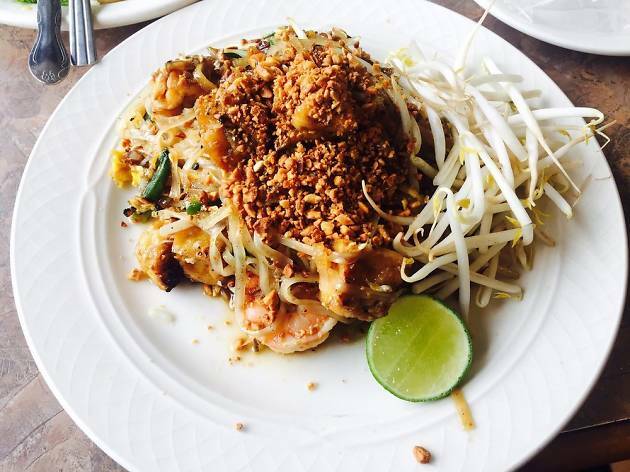 Traditional dishes such as country-style pad Thai and pad kee mao are more flavorful than most, with a good level of spice. Finish up with a sweet serving of fried ice cream. 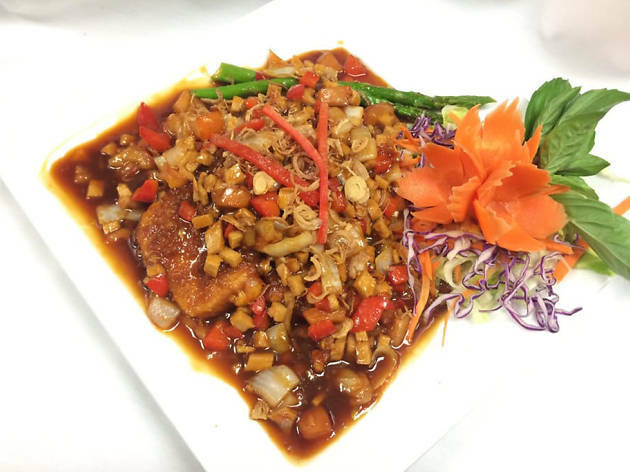 Rod Dee is a longtime favorite among many Thai enthusiasts. 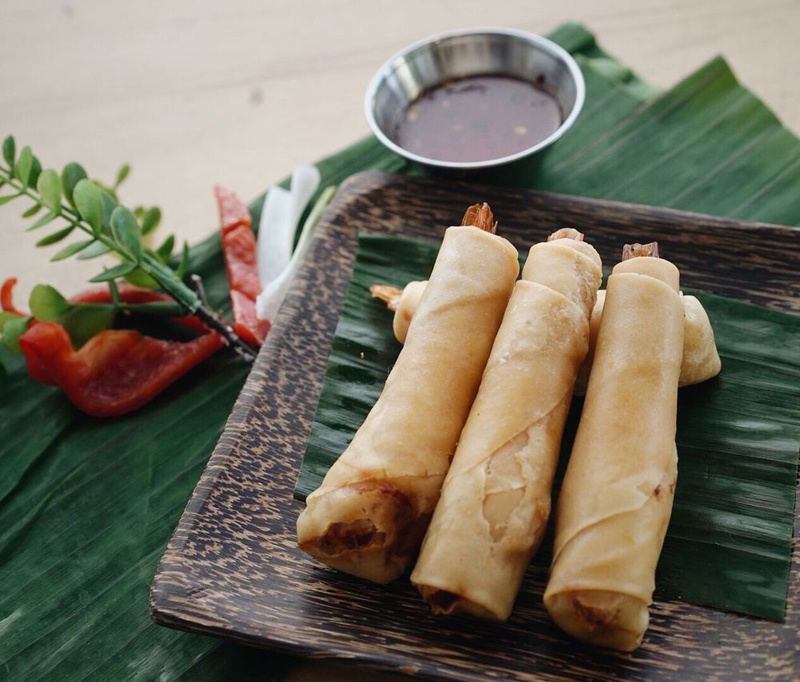 Choosing from the extensive menu can be difficult, but you can’t go wrong with house specialties such as scallion pancakes, Thai crab nuggets, pad Thai with crispy chicken, boat noodle soup, or mango crispy duck. Traditional noodle and stir-fry dishes are equally satisfying. Save room for dessert—fried banana with honey or mango with sticky rice will hit the spot. Rod Dee is cash only, so come prepared. 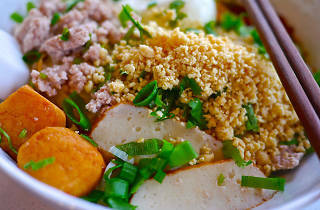 A longtime favorite for both takeout and dine-in, Brown Sugar serves dishes from all regions of Thailand. 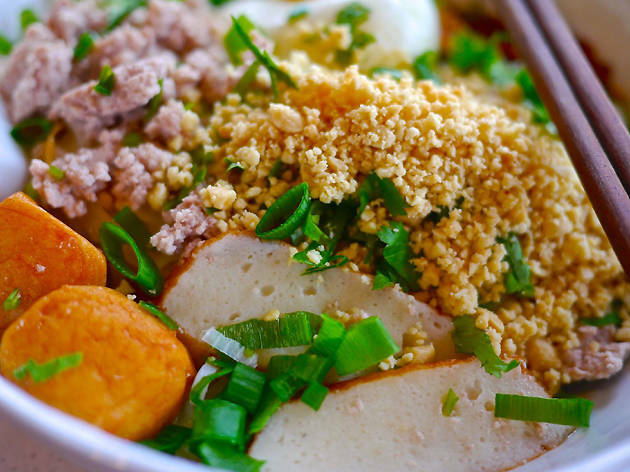 Don’t miss the clay pot selections or lesser-known dishes like kai jeow moo sub (minced pork omelet). 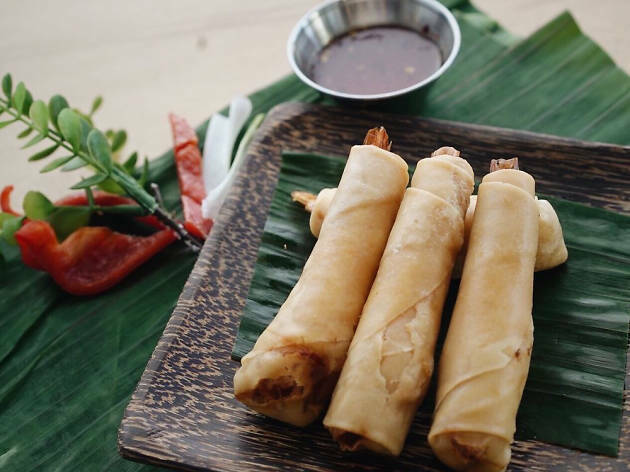 Standard, recognizable options like chive dumplings, pad thai, and fried rice are delicious, but don’t be shy—friendly waitstaff are happy to talk you through the more authentic dishes. For an Instagram-worthy treat, go for the “Siamese Twins,” sweet and sour chicken and shrimp served in a pineapple shell. 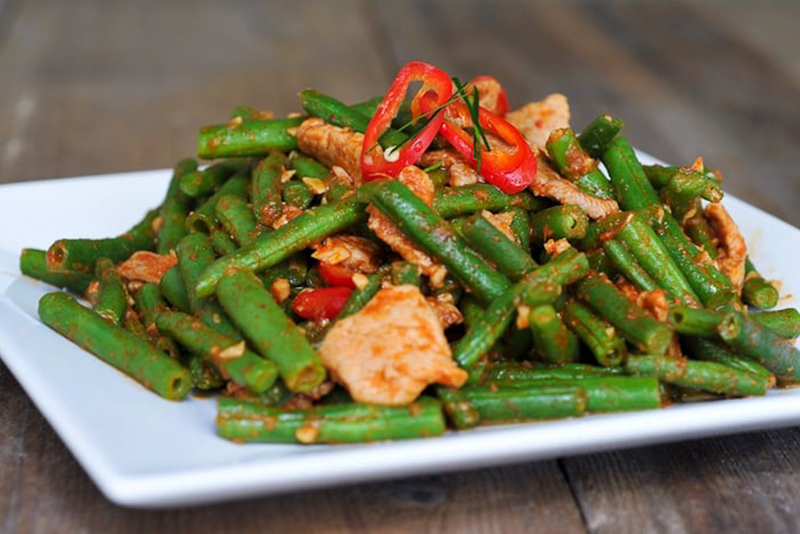 Sugar & Spice is notable for its modern, sophisticated interior, in addition to its authentic Thai fare. More than 100 dishes grace the pages of the menu, so take your time. 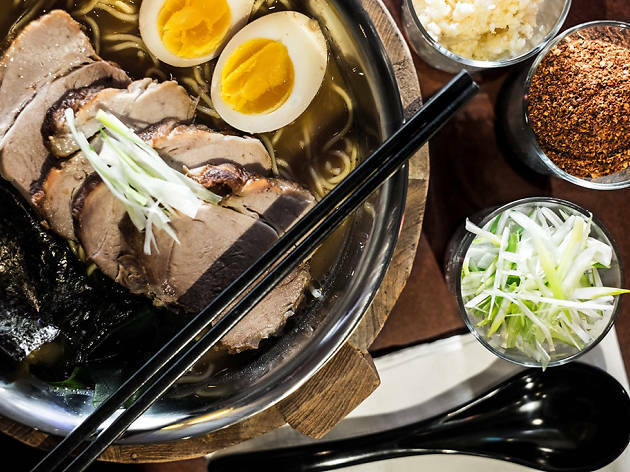 Highlights include boat noodle soup, crispy pork belly gaprow, and guay jub (wide, cigar-shaped noodles with pork, tofu, boiled egg, and an exhilarating five-spice broth). In warmer weather, opt for seating on the flower-filled patio and try a fresh mango shake. 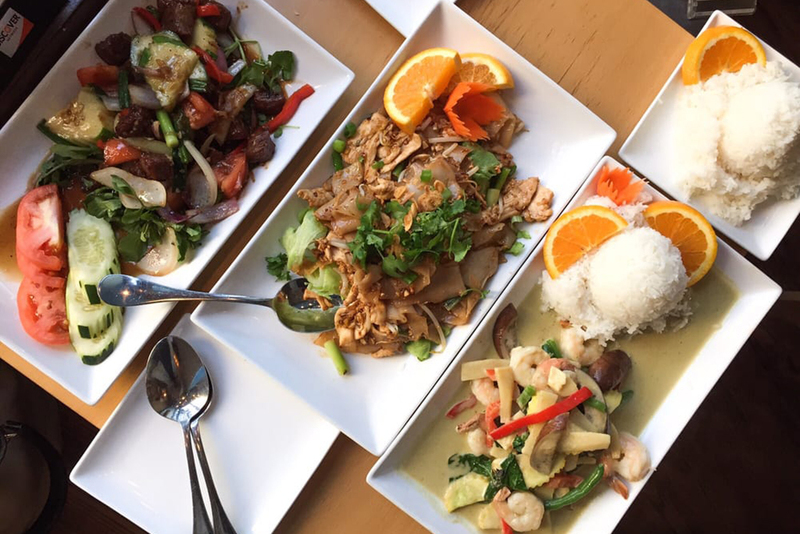 Thaitaion is a student favorite, with its extensive and affordable lunch menu of Thai favorites like mango curry, pad thai, and grapow chicken. The dinner menu offers more to explore, with dishes like lobster pad ped, “Seafood Volcano” (curry with scallops, shrimp and salmon) and the “Old Lady Spicy,” a chef’s specialty of spicy sauteed eggplant. This spot is cozy for dining in, but in warmer weather there is patio dining as well. 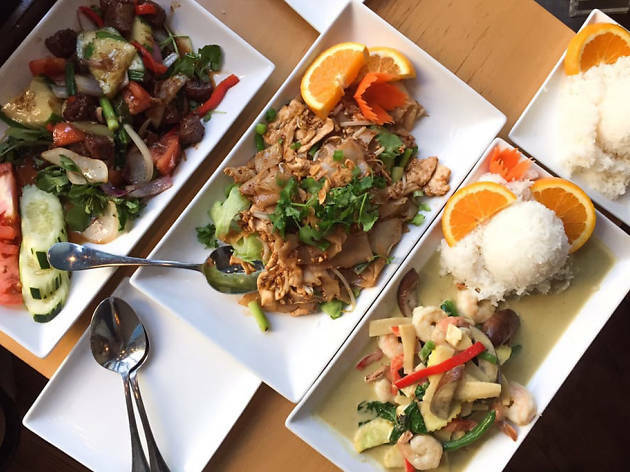 An offshoot of Watertown’s Cha Yen Thai Cookery, Kala Thai brings fresh Thai flavors to the high-traffic Haymarket area. Start with corn cakes—a Cha Yen favorite—then choose from a selection of noodle dishes (egg or rice noodles), fried rice, or curry. 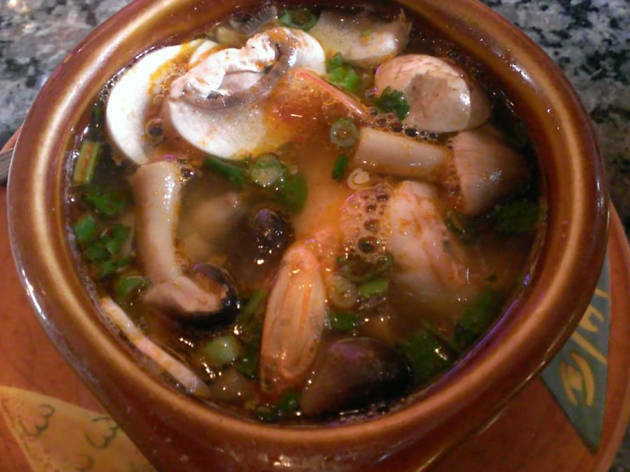 Spicy tom yum soup carries a kick, and chef specialty stir-fried dishes feature fresh ingredients and bold flavors. If the weather permits, get takeout and enjoy on the Greenway nearby.